Ships tomorrow if you order in the next 20 hours 5 minutes. Use this terrific product and never again smudge, dent or streak your manicures or pedicures! 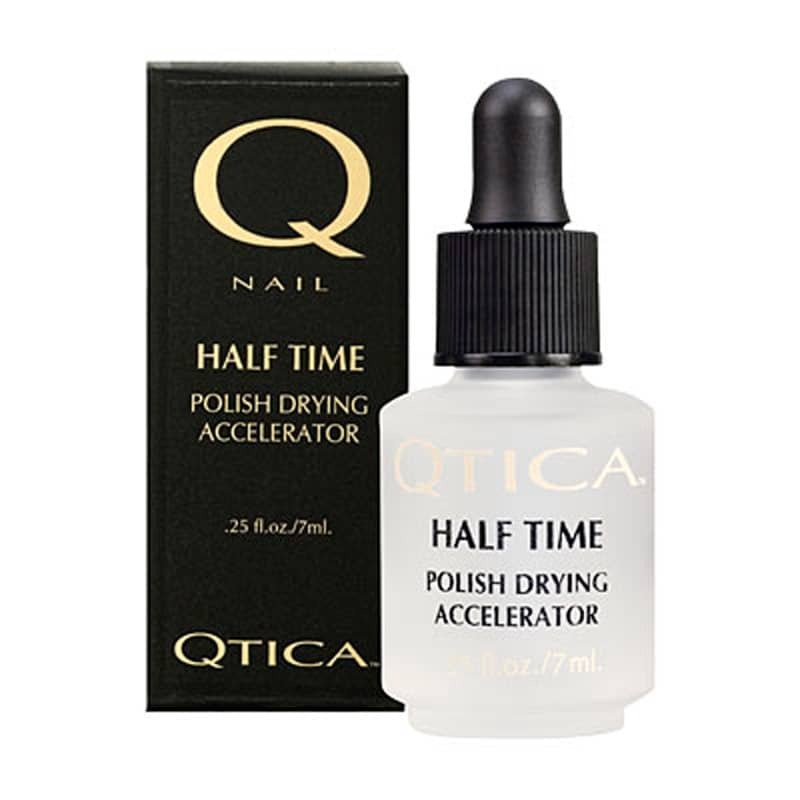 1/2 Time Polish Drying Accelerator from Qtica dries all layers of polish from top to bottom rock-hard in 5 to 7 minutes for manicures and 10 minutes for pedicures. This product is safe for both natural and artificial nails. It also extends wear and helps prevent polish from chipping. Following topcoat, tilt nails downward and apply one to two drops of 1/2 Time at base of nail, let spread naturally.